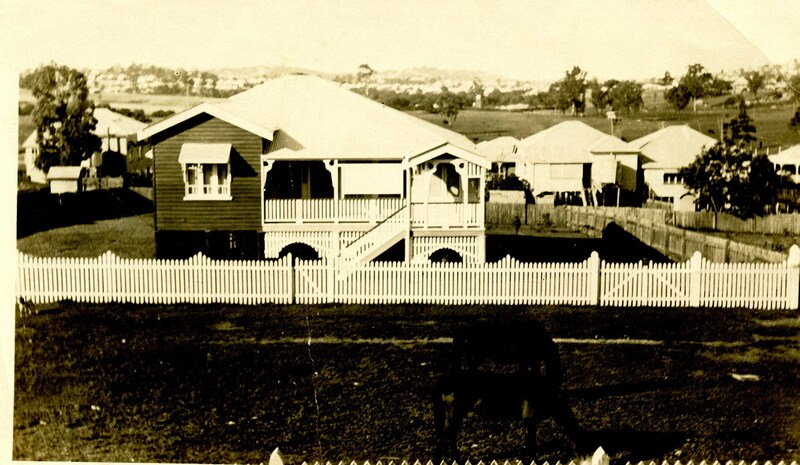 This entry was posted in Brisbane, Family History, Kunkel Family History, Queensland Rail, Sepia Saturday and tagged Ballymore, House history, Kunkel family history by cassmob. Bookmark the permalink. The 1930s photo of your grandparents’ house is a delight. Thanks Boobook..did you spot the horse? A lovely well researched family history story encompassing the 96 years on one street. But how sad that your father’s extensive memories were not taken into account with the local history publication. . You have redressed the balance here. . . Thank you Susan, I really value your comments. Such research! Great to pass down to your children. Excellent work! 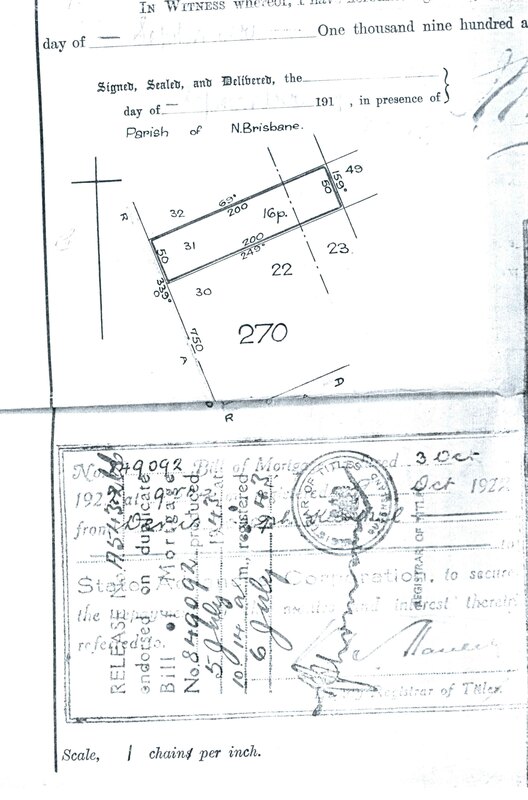 Who would ever think to check sewer maps for family history. I love that! The early photo of your grandparents’ home in the middle of that block makes for an interesting comparison with the current photo showing your parents’ home next door. Thanks Wendy. 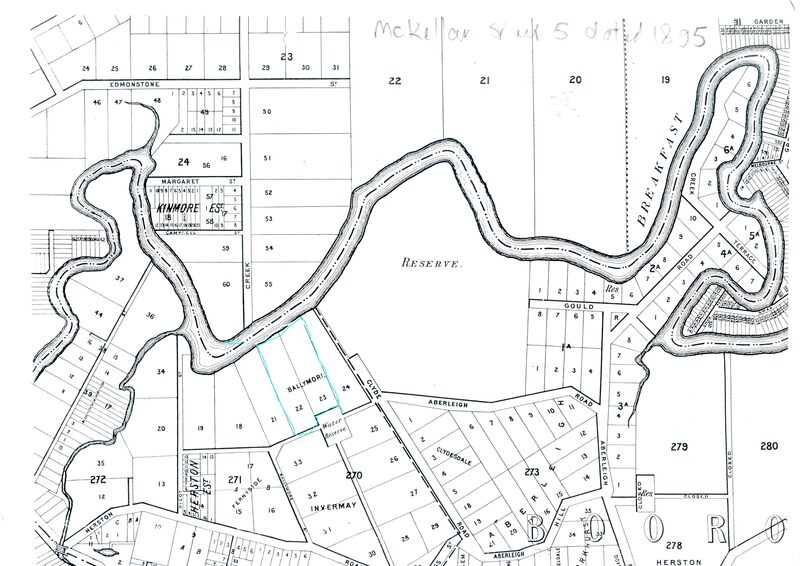 Yes, who would have “thunk of it” re sewerage maps. It’s interesting isn’t it how photos sometimes show us more than they’re originally intended for. Very well researched and written. I love the old Queensland homes. So much character and charm. You must have had to put a lot of work into this to give us so much detail. I wouldn’t know where to start to get maps like that for our neighbourhood with houses dating back to the 1700s and some less than 10 years old. Not only are you a great family historian, but you rock as a social historian as well. So well done and so interesting. 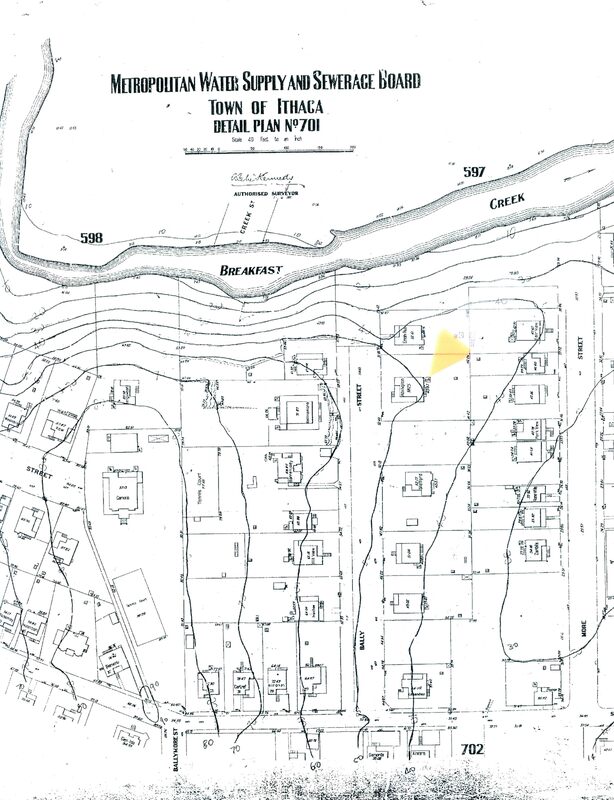 Unfortunately for us farm folk, sewer maps don’t have much meaning — except when the septic tank overflows, then of course, we know right where it is. Thanks for a great insight into your family history in Brisbane. Thanks Joan that’s high praise from you with your skills. I had to laugh about the sceptics. Know exactly what you mean. 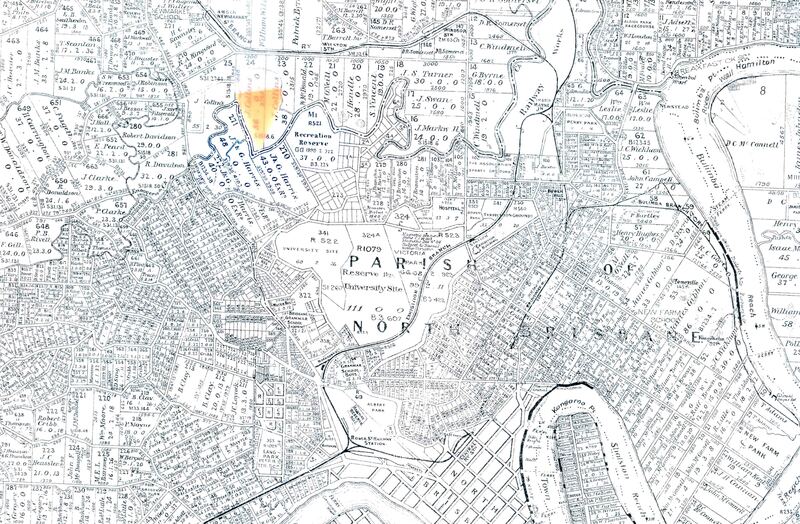 What a wonderful history of your family houses and neighborhood, complete with maps and photos. 96 years is longer than I’ve been able to document any of my family living anywhere. Thanks Kristin, yes in the throes of the packing the significance of Mum’s departure from the street didn’t quite grab hold of my mind, but it’s a tiny snippet of local history. I’m surprised you haven’t found houses that far back given all your wonderful research into houses and streets. My family members moved before they had lived anywhere for 96 years. The longest is probably 40 something years. The houses that they lived in 96 years ago are all gone. Except the house my father was born in and he lived there less than a year. It’s a shame that all the history has gone Kristin, even though they may not have lived in one place for >40 years. I echo the thoughts of everyone before me, and now I have the song, “Underneath the Mango Tree” in my head! Thanks Kat, and I’m sorry about the ear worm….I had a Roy Orbison one in my brain for weeks. You’ve reminded me of a Graeme Connors song “Mango Shade” which sent my brain flying to his song “Cyclone Season” which we’re coming up to….how one’s mind runs amok. I’m rubbish at maps and as soon as I see ‘chains to the inch’ it takes me straight back to my primary school exercise book and makes me shudder. I do applaud your research however and I really like photo of your grandparents’ house. What great research you’ve been able to do on the houses, the street and the area in which your family lived for so long – very impressive! Thanks Jo! It’s amazing what’s there to turn up. 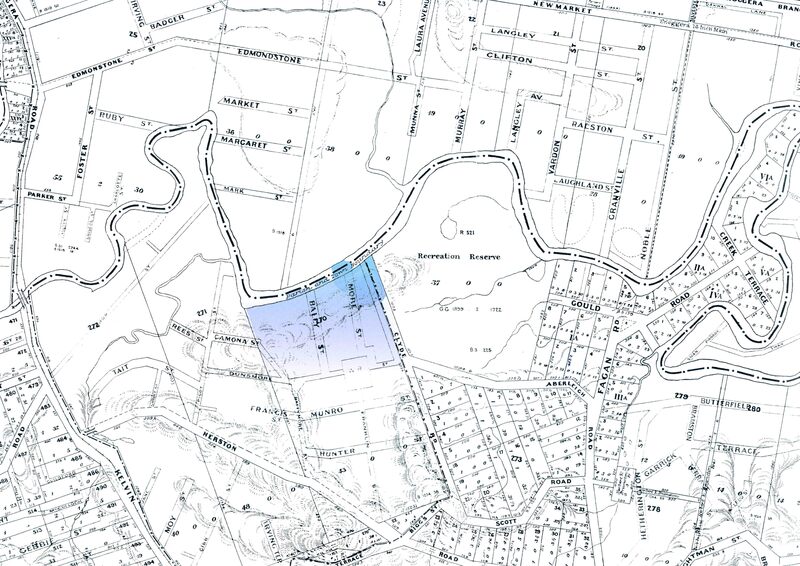 No, it’s on the More St side of Bally St. I’d be interested in what aspects of Ballymore Estate you are researching. This is fantastic, thank you. I am interested in this Estate – one of the earlier homes I believe circa 1900 named “Ballymore” but very hard to find information!